Our range of products include areca leaf plates, areca plates and areca leaf cups. We are offering Areca Leaf Plates to our clients. 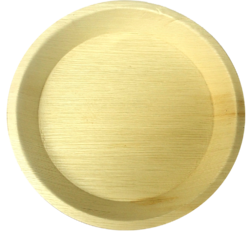 The use and throw Areca Leaf Plates made out of Areca Leaf are 100% biodegradable and compostable. These hygienic, non-odorous, non-toxic, lightweight plates made out of Areca leaf are environment-friendly. An economical disposable alternative for all catering occasions. Areca leaf plates need no wash. We provide Areca Leaf Plates in various sizes. We are offering Areca Plates to our clients. The areca palm tree leaves are fresh in nature, thick, which is non-toxic, free from any chemicals and pest. The leaves are Eco-friendly in nature, lightweight, disposable and durable in nature.These hygienic, non-odorous, non-toxic, lightweight plates made out of Areca leaf are environment-friendly. An economical disposable alternative for all catering occasions. These areca plates need no wash. 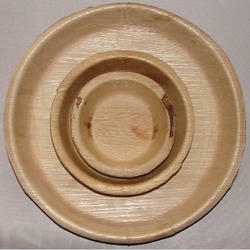 The use and throw Areca Plates made out of Areca Leaf are 100% biodegradable and compostable. We are offering Areca Leaf Cups to our clients. The areca palm tree leaves are fresh in nature, thick, which is non-toxic, free from any chemicals and pest. The leaves are Eco-friendly in nature, lightweight, disposable and durable in nature. The use and throw Areca Leaf Cups made out of Areca Leaf are 100% biodegradable and compostable. An economical disposable alternative for all catering occasions. These areca leaf cups need no wash. 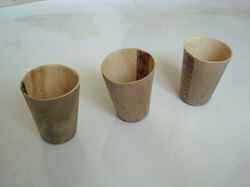 These hygienic, non-odorous, non-toxic, lightweight cups made out of Areca leaf are environment-friendly.